Welcome to another great day of Food for the Fourth! I hope you are enjoying all the delicious recipes! I’ve shared some great Main Dishes, Salads and Sides! Today is all about Dessert, and you all know how much I LOVE Dessert! I’ve been busy sharing my Fourth of July Desserts around Blogland, and I wanted to be sure that you had a chance to see them. 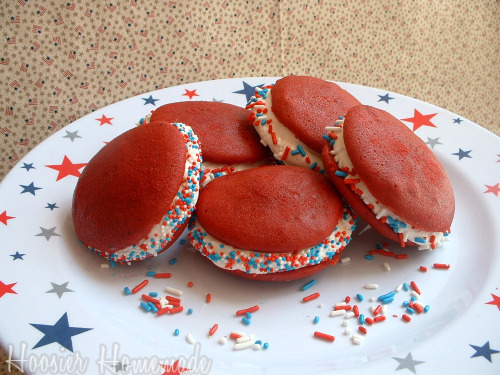 These Red Velvet Whoopie Pies are sure to be a crowd pleaser! 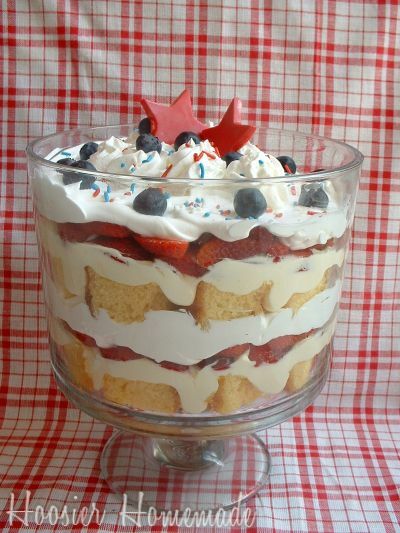 And this Fourth of July Trifle Dessert is not only easy, but also very cost effective. 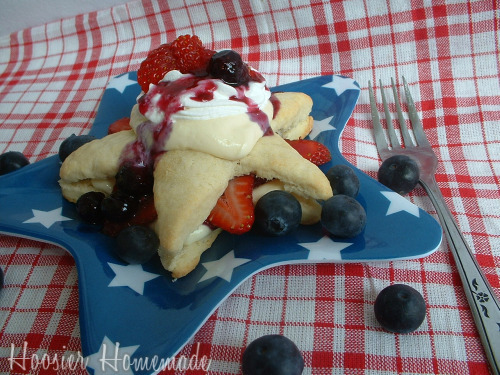 These Fourth of July Shortcakes are a very easy, and delicious treat! And of course, lots and LOTS of Cupcakes! Update: I’ve added some Fun 4th of July Drinks too! Do you need some Fourth of July Inspiration? Check out my Fourth of July Mantle and then head on over to the Fourth of July Party over at It’s A Blog Party! I’m looking at your blog and it’s not even 6:30 in the morning and I’m drooling over all of your goodies! @Terry, LOL, sorry…Hope you enjoy your holiday! Fun stuff!!!! I love everything but the whoopie pies are just the cutest. Good job! LOVE all of your 4th of July treats!! Esp the Uncle Sam cupcake!! Too cute! Wow, they all look so good. I think I’d have to make (and eat) them all. I LOVE the whoopie pies. These Fourth of July dessert ideas are wonderful. Fun Patriotic treats. Thanks for the links! Yum! And they all look so festive! Everything looks great! 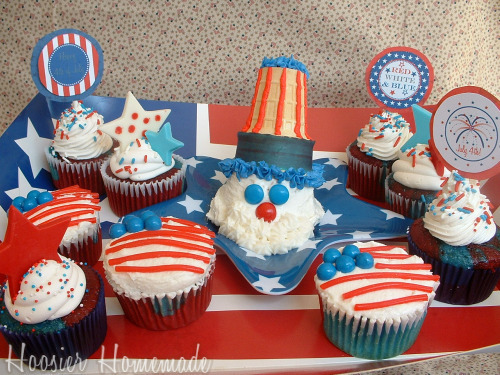 I hope to participate in Cupcake Tuesday soon-Happy 4th!